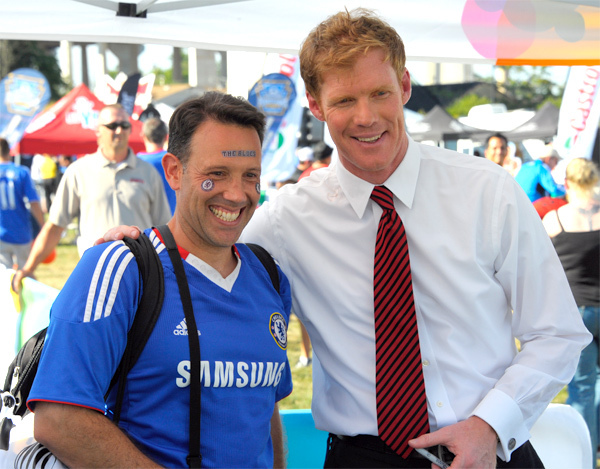 Alexi Lalas poses with a Chelsea supporter. 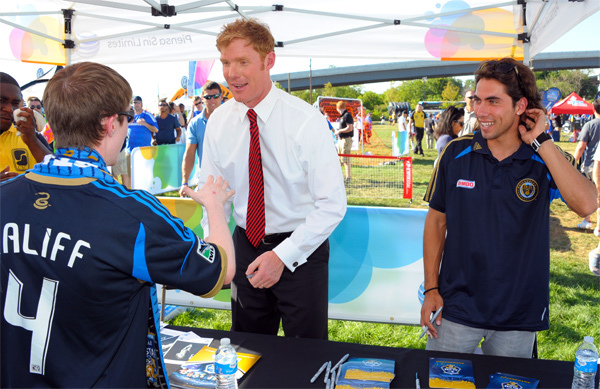 Alexi and Gabe Farfan greet the fans. 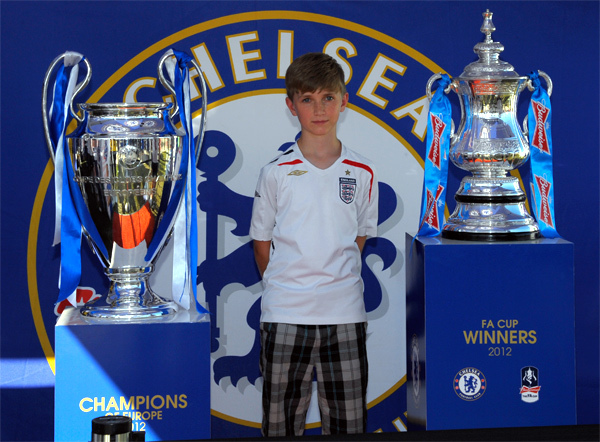 Petr Cech had a few fans in the house. 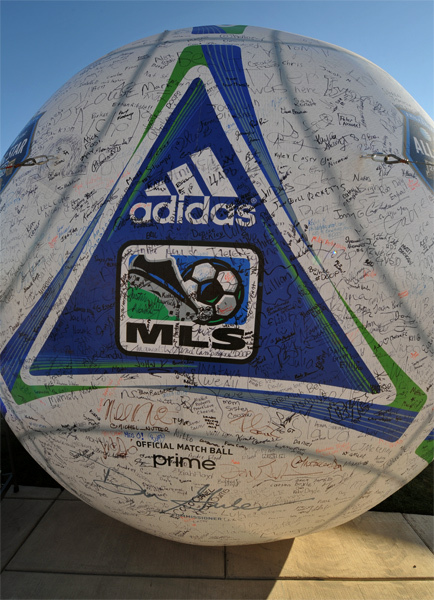 The Giant Ball collected many signatures on its way around the city. 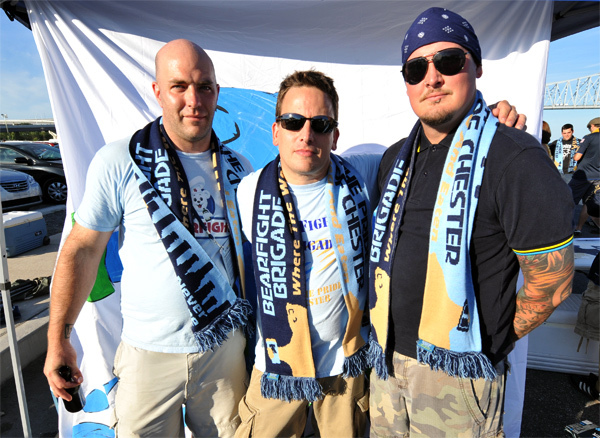 The Bearfight Brigade had their version of the All-Star Bearfight featuring guest judge Gabe Farfan. 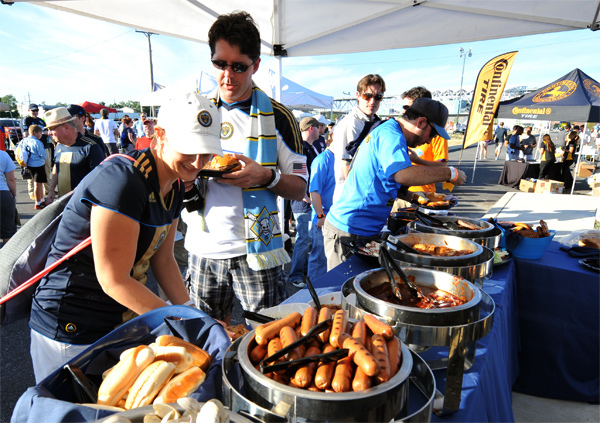 The Sons of Ben had a quality selection of tailgate food. 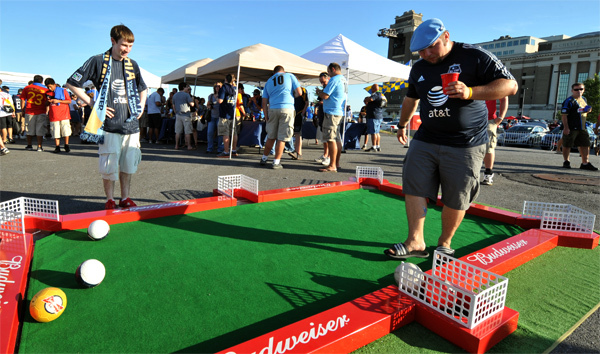 Let’s combine pool and soccer with beer. 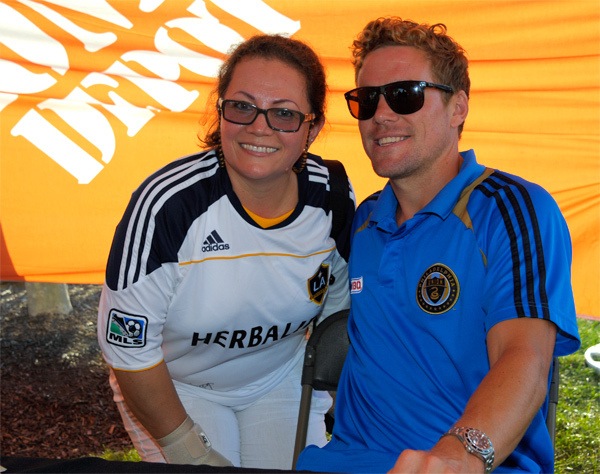 Allstate sponsored a fundraiser for the Starfinder Foundation featuring Tony Meola. 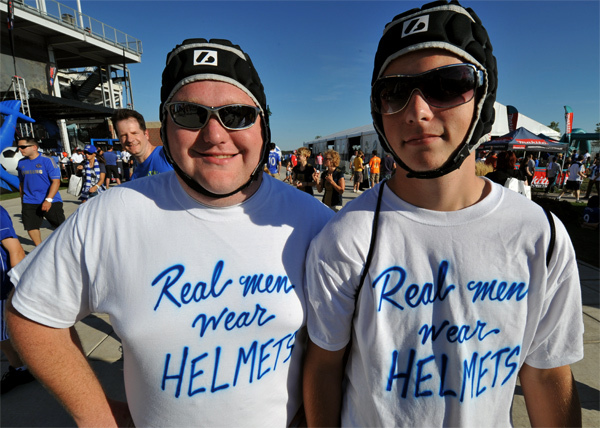 Allstate donated $100 for every fan who made a “Dive for Charity”. 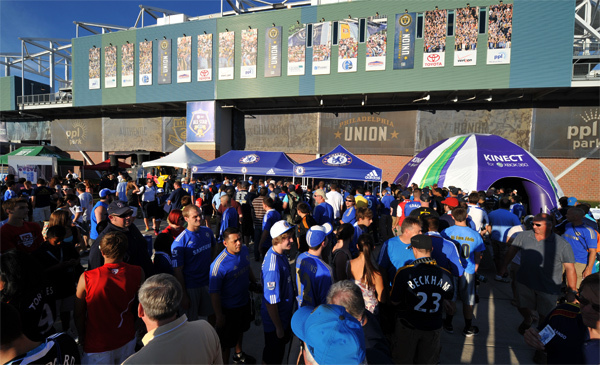 Large crowds filled the concourse around PPL Park. 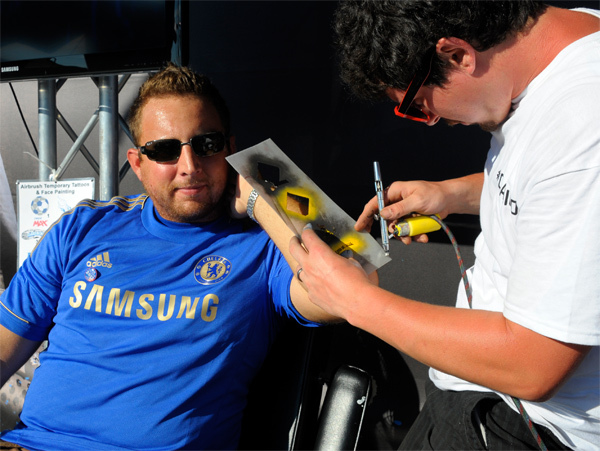 Fans could get temporary tattoos put on at one booth. 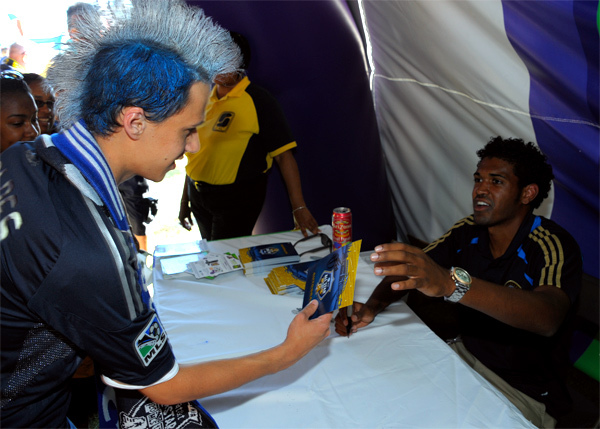 Sheanon Williams signs an autograph for Union fan Billy Myers. 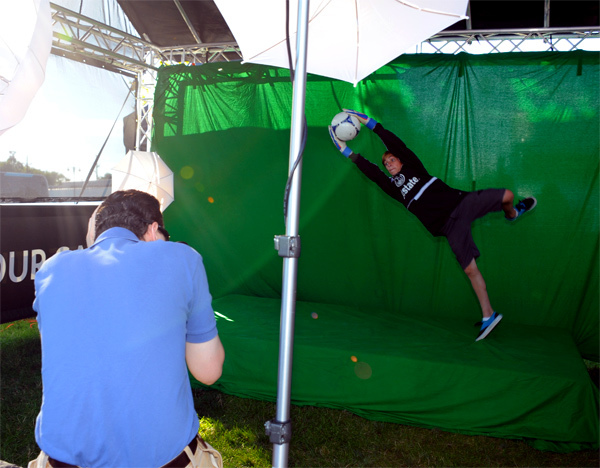 Fans could get their photo take alongside the Champions League and FA Cup trophies. 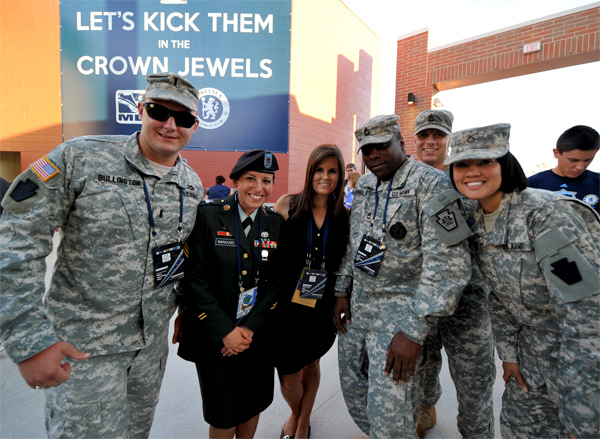 The MLS donated many tickets to deserving military personnel. 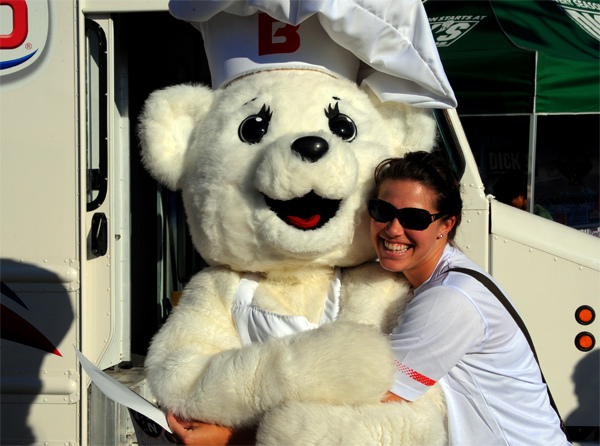 The Bimbo Bear gets some love. 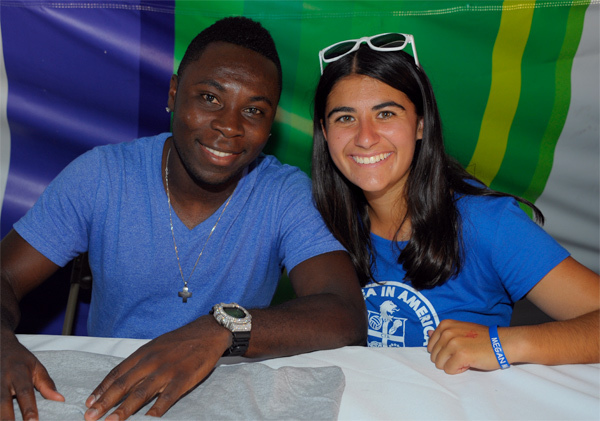 Freddy Adu took time to sign autographs and pose for photographs. Chase Harrison signs an autograph for a young fan. 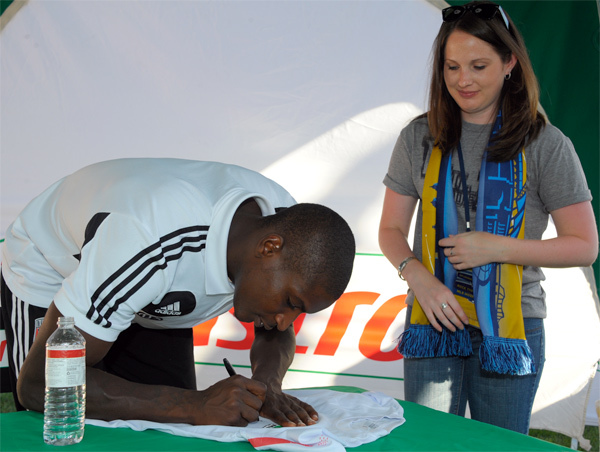 DC United goalkeeper Bill Hamid was also on hand. The ladies lined up for pictures with Chris Albright. 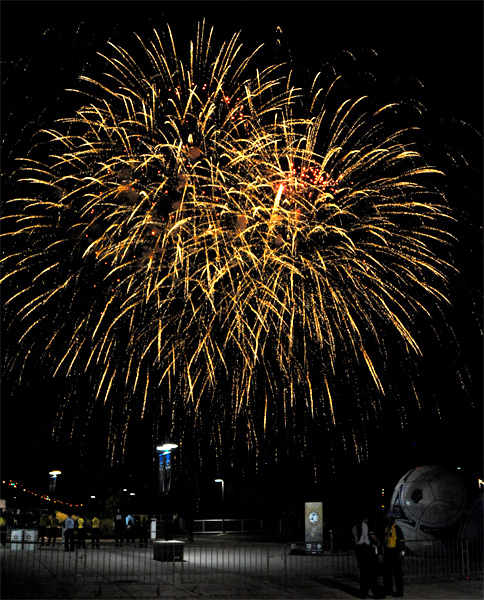 The half-time fireworks amazed the crowds. Am I the only one noticing that Freddy Adu is the only one not wearing a Union shirt. 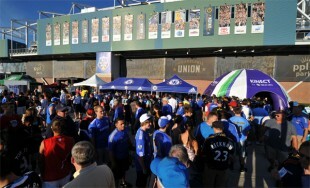 Every other Union player in these pix (and every one I saw down there) was in their Union polo. This guy seems to manage to come project selfishness at every opportunity. has gotten tangled or knotted which is important to me. I’ve had my share of heavy vacuum cleaners, which made vacuuming staircases a chore. listed above) at heart, plus your Apple A1016 should live in tip-top shape for an additional few years. The inside colors compliment the surface colors perfectly to make this Jeep much more stylish than imagined. to begin to see the cars until following your sale is completed. reviews that will let you know that there’s no second hand smoke in these devices. quit and a huge motivator for young women who start smoking in order to stay svelte. However, it is not a wise strategy to supply nutrition only for lower eyelids skin and ignore the upper eyelid. And they even hope that the fate of the whole family can be changed. You may add wet device in the box to maintain proper water. We offer remote computer repair like virus, malware, and adware removal and laptop or computer cleaning.